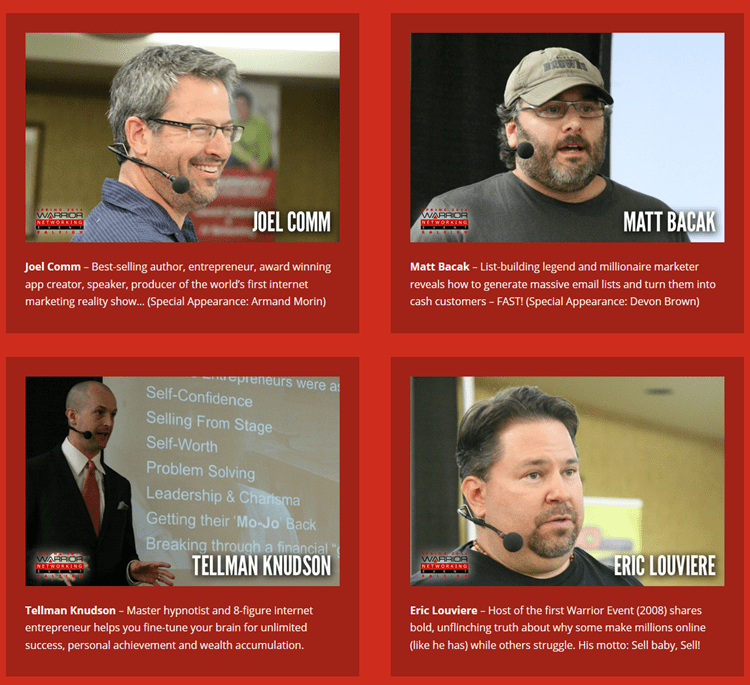 Cash In On All The Million-Dollar Marketing Secrets Shared At Warrior Event 2014! Whats The Story Behind The Warrior Event? 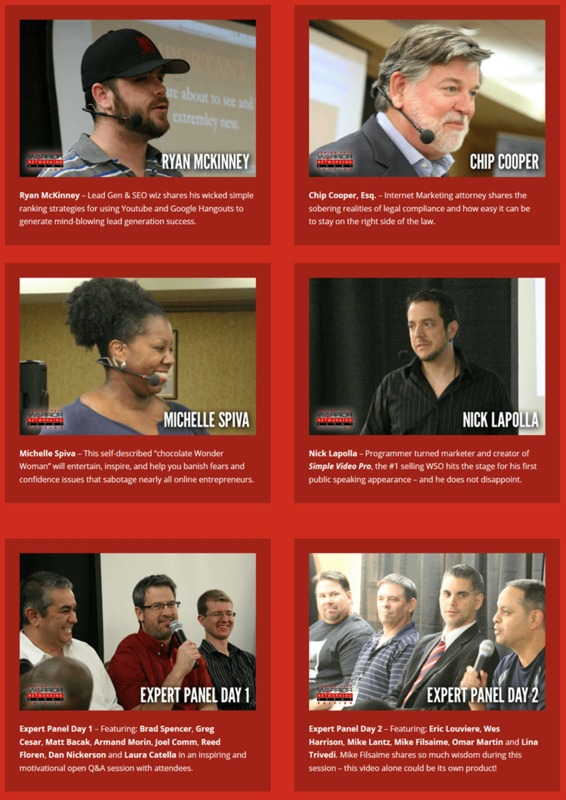 Originally conceived by Eric Louviere as a networking and learning opportunity for friends, fellow marketers and successful colleagues who frequented the world’s largest Internet Marketing community, the Warrior Forum, in 2008, Eric hosted the first Warrior Live Networking Event in Austin, Texas. While attending the Practical Profits seminar that year in Las Vegas, Sam was hounded by fellow attendees to resurrect the Warrior Event in 2011. With promises to speak from Jason Fladlien, Bryan Zimmerman, E. Brian Rose and several other well-known marketers, Sam reached out to Brian McLeod and asked him to partner with him to make it happen. 14 Full-Length Recordings Presented By An All-Star Roster Of The Most Successful Marketing Minds In The Business! What Do I Get With The Warrior Event 2014 Video Set? 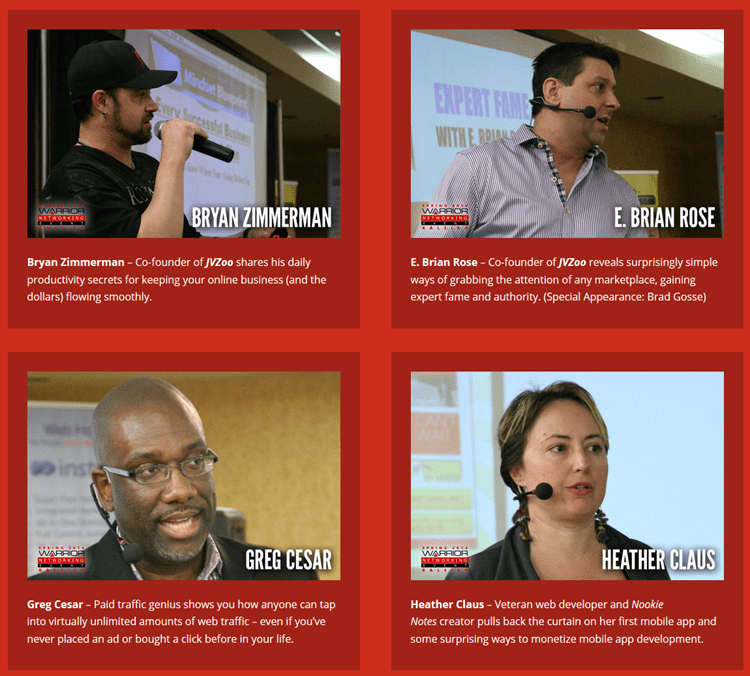 Hundreds of online marketers traveled from across the globe to gather in Raleigh, NC this March for one final Warrior Live Networking Event… and we captured EVERYTHING for you on HD video and high-quality digital audio!